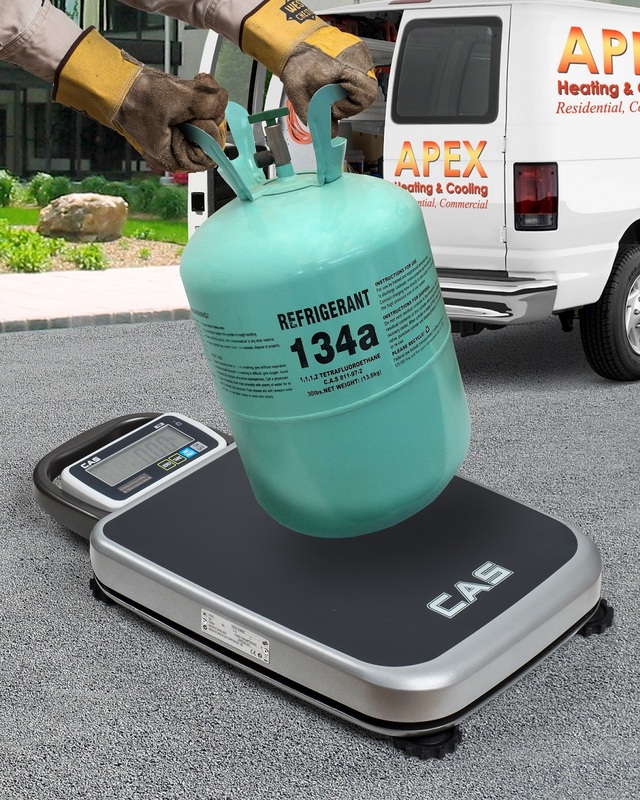 A portable, battery powered bench scale that is legal-for-trade and ideal for applications from a truck such as weighing refrigerant tanks or trans-former oil is available from Alliance Scale, Inc. of Canton, Massachusetts. The Alliance/CAS PB Series Portable Bench Scale is ideally suited for field weighing applications because it is legal-for-trade and connects to receipt printers and other devices. Featuring a large 6-digit LCD display which is detachable for easy viewing, this scale weighs just 14.5 lbs. and comes in 150-, 300-, and 500 lbs. capacities, with 1/3000 external resolution. Equally effective for in-plant applications such as shipping & receiving and assembly, the Alliance/CAS PB Series Portable Bench Scale includes an RS232 port for connecting to other networked devices and provides 300 hrs. continuous use on Alkaline batteries or 60 hrs. rechargeable. An optional wall mount bracket and a receipt printer are available. The Alliance/CAS PB Series Portable Bench Scale is priced from $310.00. Pricing is available online or by contacting Alliance Scale, Inc.